DriveThruComics.com has partnered with over 30 comic book publishers to offer a $20 bundle of digital comics for charity. Proceeds of the charity bundle, which has a retail value of $95, will be donated to the Hero Initiative. Participating publishers include: Top Cow Productions, Archaia Entertainment, Moonstone Books, Dork Storm Press, and a number of creator-owned and small press publishers. 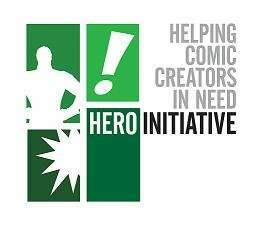 Since June 2011, DriveThruComics.com has offered customers the chance to make a $5 direct donation to the Hero Initiative. This new $20 DriveThruComics Charity Bundle offers participating publishers an opportunity to provide customers with an excellent selection of digital comics and raise money for this well-respected charity. Titles in this digital comic bundle include: Mouse Guard Fall 1152 #1 from Archaia Entertainment, First Born #1 from Top Cow Productions, Flare #20 from Heroic Publishing, the Harbor Moon graphic novel from Spoke Lane Entertainment, the Dr. Blink: Superhero Shrink graphic novel from Dork Storm Press and many more! DriveThruComics.com and its sister-site, DriveThruRPG.com, have previously offered charity bundles of digital product to benefit Doctors Without Borders in response to the earthquake in Haiti and flooding in Pakistan. Visit DriveThruComics.com today and donate to the Hero Initiative! the inner geek, grognard and fanboy we all have. DriveThruComics.com works with publishers and creators to offer digital and print editions of current and out-of-print comics to fans around the world. something to the people who have given us so much enjoyment.